Italy Yacht Charter is a renowned croatian broker agency, specialised in both yacht purchase and trade. Due to our experience we provide our clients with best service and reliable guidance through the process of buying and selling boats, new and used ones, motor or sailing yachts. If you are selling your boat, a broker already has a data base of potential buyers who might be interested in buying a boat just like the one you’re selling. The broker will also take care of advertising, communicate with potential buyers and place your boat in the market. There are many reasons why you should hire a broker to help you buy or sell a boat, and one of the most important is that these are well connected professionals who know the market. Pay attention to our Special Offer for buying Bavaria and Jeanneau vessels – we give you one week charter free if you decide to buy the boat you chartered through our agency. This special offer includes all Jeanneau and Bavaria vessels, motor yachts and sailing boats. If you already know which model you want to buy, charter her for a week to introduce yourself to her abilities and performance. On the other hand, if you are not completely certain about which model you want, charter is a great opportunity to try some boats out. 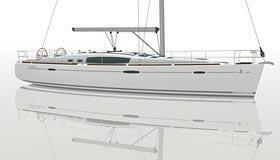 If we have in our charter offer a Jeanneau or Bavaria model that you are interested in buying, we invite you to charter the boat with us, try her out and than use our broker service to buy the boat, and we will deduct the price you paid for charter from the sale price, giving you a week charter completely free! Feel free to contact us for all additional information.